100 bags per pack. Contents of vacuum bag can be cooked in boiling water. Vacuum cooking bags perfect for storing foods intended to be cooked with the innovative sous-vide technique. Each OPA/CPP vacuum cooking bag is thick and resistant to allow any solid, liquid, or soft product to be vacuum packed using a professional chamber machine. 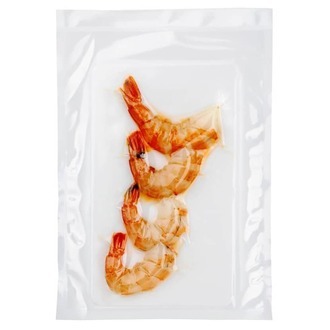 Bags contains NO phthalate plasticizr adipates, bisphenol A, phosphates, polyester.